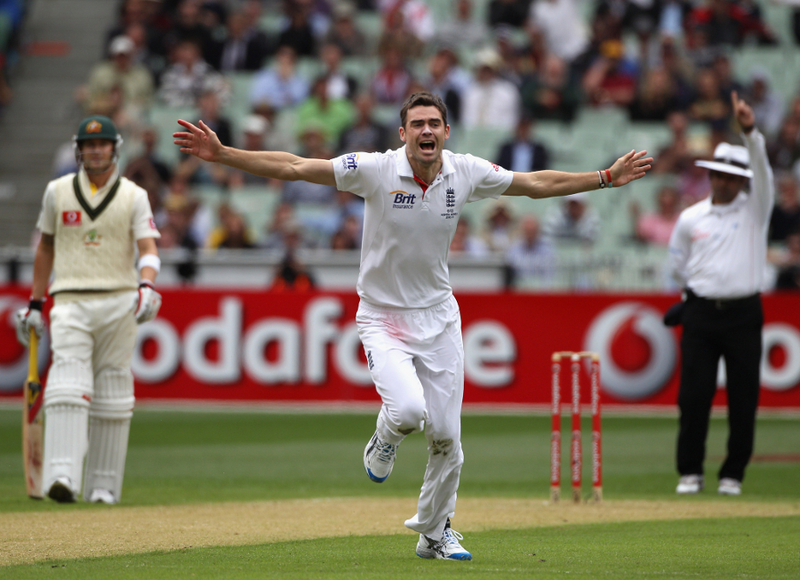 Melbourne: England won the 4th test of the ‘Ashes 2010/2011’ against Australia by an innings & 157 runs. The batting & bowling line-up of Australia again collapsed. The toss is the main factor behind the victory of England. The pitch of the MCG provided a great support to the bowlers & batsmen. People all around the world enjoyed this test & want more tests like this one. Let’s have a brief view of the ‘Boxing Day Test’. 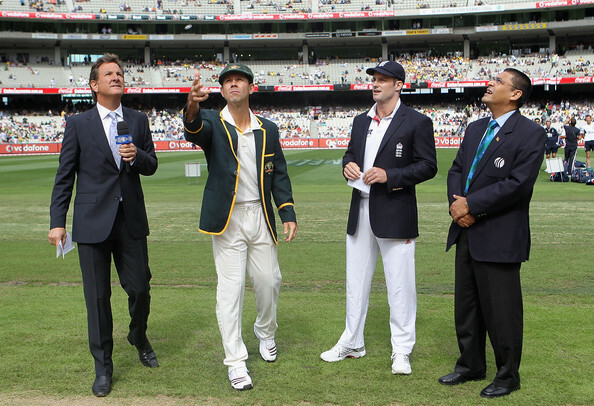 On the very first day, English captain Andrew Strauss won the toss & elected to field. The decision of the English captain proved right when the top three batsmen of the Australian team got out in the first 15 overs of the game. 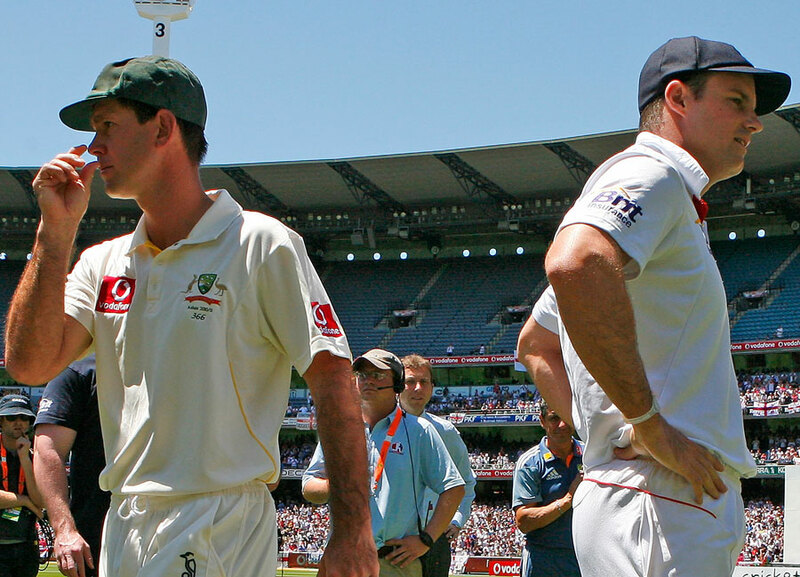 Even the Aussies captain Ricky Ponting failed to resist in front of English seamers. The complete Australian team got out in just 42.5 overs & scored a trash of 98 runs. English fast bowlers were the shining stars. Anderson & Tremlett took 4 – 4 wickets while Bresnen took 2 wickets. The openers of England Cricket Team, Strauss & Cook played an intelligent innings till the end of the day & scored 157 runs without any loss. The English fans were pretty happy with this performance. On the 2nd day, Strauss & Cook got out before the drink of the 1st session & scored 69 & 82 runs respectively. Both wickets were taken by the Australian seamer Siddle. In the 84th over, Harris bowled a beautiful ball to Pietersen & it missed the bat. 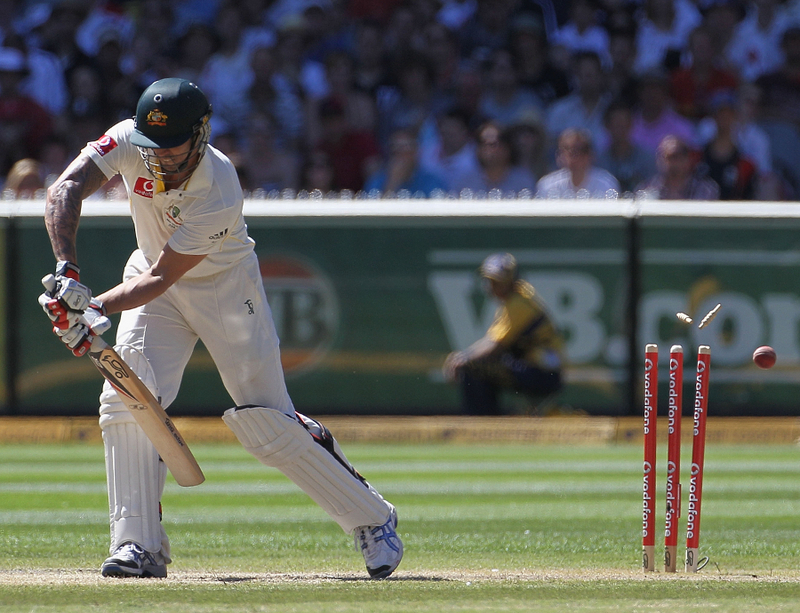 The Haddin appealed for a nick but Pietersen was given not-out by Pakistani Umpire Aleem Dar. Australian captain Ricky Ponting asked for a review. The Hot Spot showed nothing & in the end the decision remained the same. 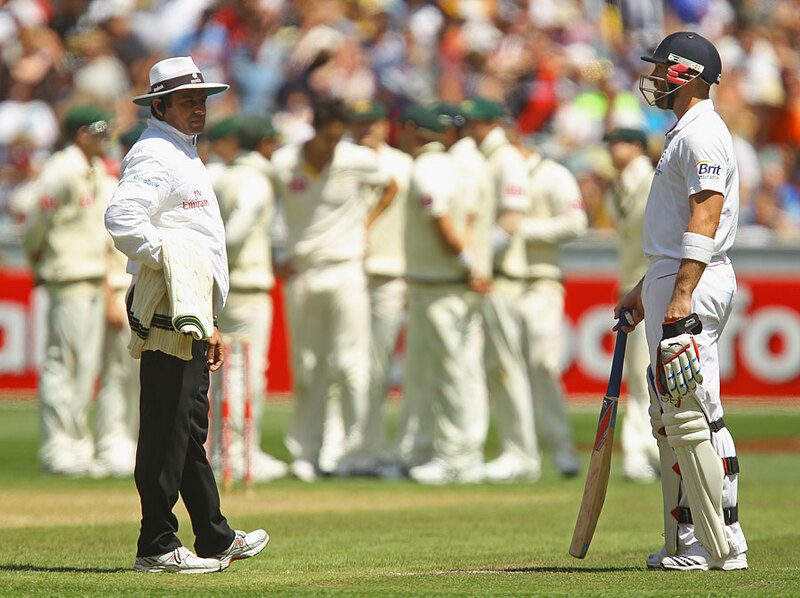 On this, Ricky Ponting got furious & argued with the umpire Aleem Dar. Dar explained Ponting that the ball missed the bat but Ponting refused to agree with him. In the 100th over, Johnson bowled a beautiful ball on which Prior got a thick edge & was caught by Haddin. Prior was given out but suddenly Aleem Dar asked him to wait for a minute because he thought it could be a no ball. He asked the 3rd umpire for finding about the delivery, whether it is a legal or illegal delivery. In the end it was an illegal delivery & Prior was given out. It was a devastating moment for Australia. At the end of the day, the score of England was 444 & their 5 wickets were down. Australians were not looking good because of having bad day. 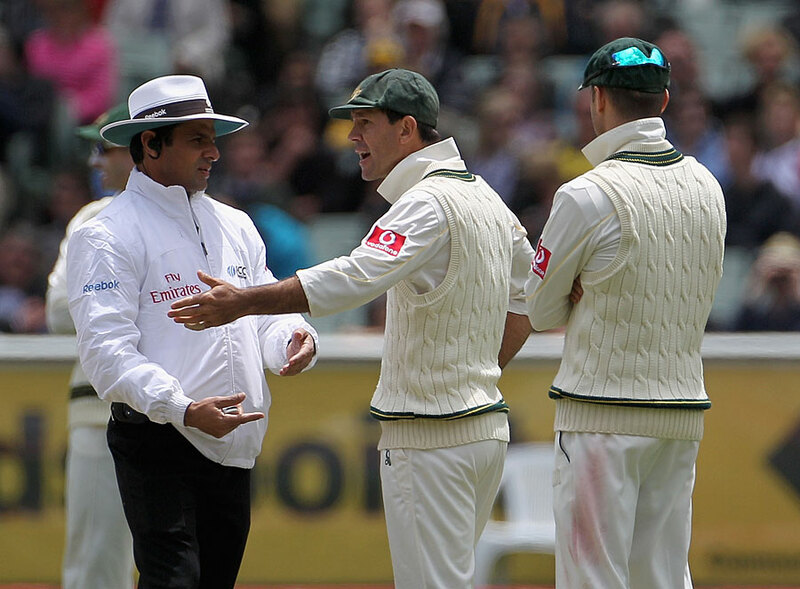 Ponting was fined 40% of the match fee because of the incident occurred with Aleem Dar. On the 3rd day, the complete English team was bowled out at the 513. 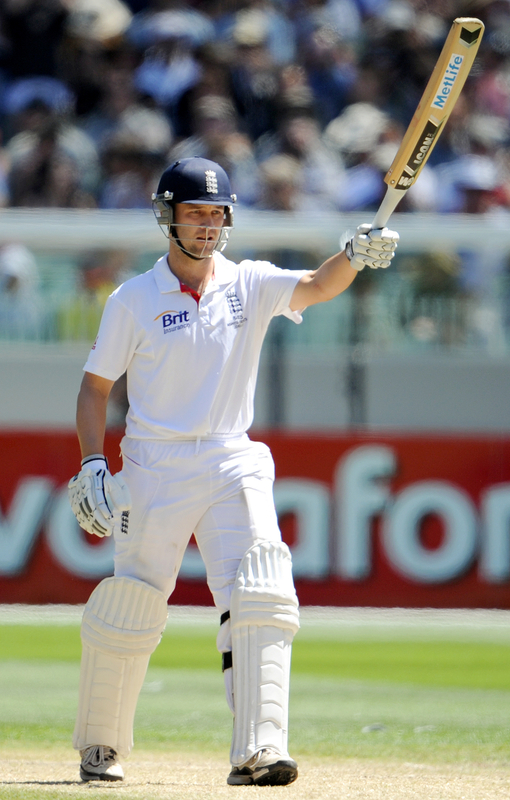 Trott remained not-out with a score of 168 runs. The Australians were trail by 415 runs & 2 complete days were left behind. This time the start of the Australian innings was good, the first wicket went down on the score of 53 & the second on 99. After it the remaining stories of Australian building started collapsing so fast that it was looking impossible to stop. At the end of the day, 6 wickets of Australia were down & only Haddin was the professorial batsman on the crease. The score was 169 & still 246 runs were behind. On the 4th day, English players were looking very happy because they knew that the match will over today with their victory. Australia again started their innings but the wickets kept falling down after short intervals. In the play of just 20 overs, the remaining batsmen of Australian team were bowled out by English bowlers. Harris didn’t play because of injury & Haddin remained not-out with a top score of 55. This was the time for the celebration of England, its fans & Barmy Army. The headline running on every channel was “England won the MCG Test by an innings & 157 runs”. 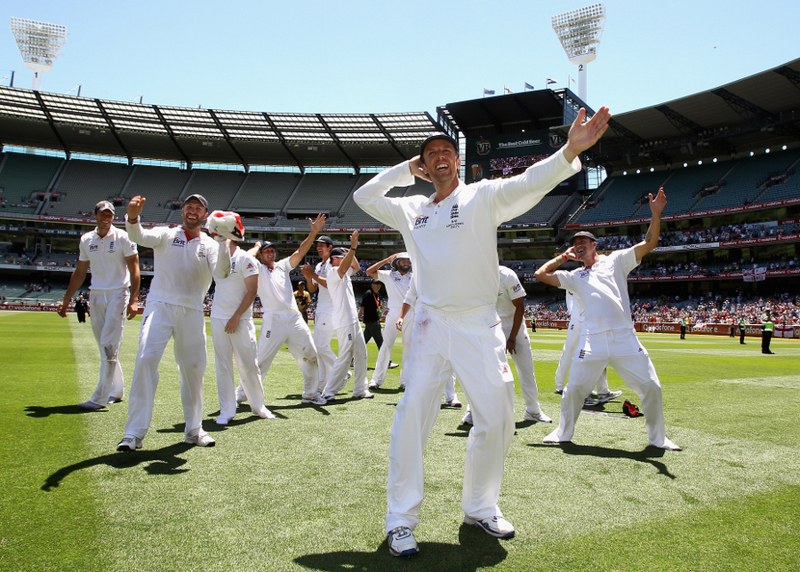 English Cricket Team also performed ‘Sprinkler Dance’ at their victory. English fans were delighted by the performance of their team. In short, a brilliant performance by England Cricket Team in every field. Hope Australia will figure out the problems & will draw the series. English eyes are now on the ‘series win’ as they have retained the ‘Ashes’. In the end, Hats off for ICC’s ‘Umpire of the Year 2009/2010’ Mr. Aleem Dar, he proved “Humans are significant than Machines”. Poor start of the tour by Pakistan. 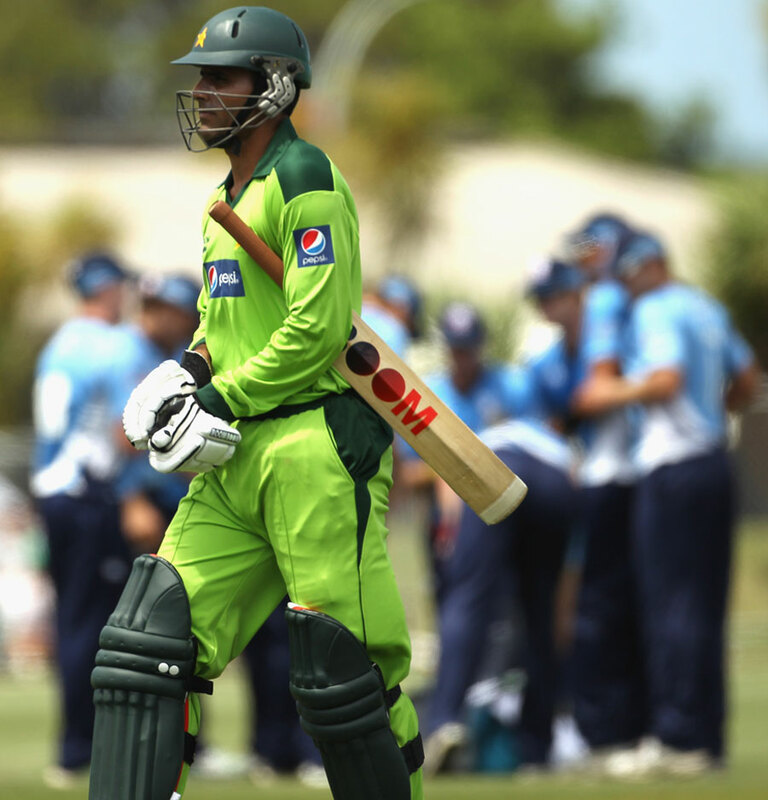 Auckland thrashed Pakistanis by 5 wickets. 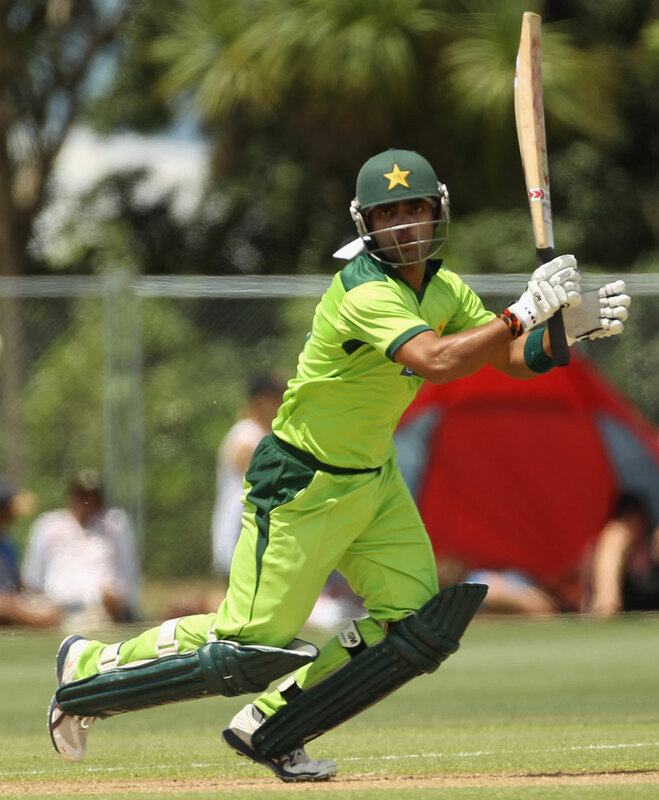 Auckland – New Zealand: Auckland defeated Pakistanis by 5 wickets. Pakistani team who was under the shadow of fixing lost its tour match. Toss: Auckland won the toss & elected to field. The captain of the Pakistan Cricket Team ‘Shahid Khan Afridi’ went out today to start the innings with Mohammad Hafeez. But at the 4th ball of the match delivered by Bates, M. Hafeez got out. It was the frustrating moment for Pakistanis. As the score was just 1. The new batsman was Ahmed Shehzad, he also got the blow in the last ball of the same over & left the pitch. It was the 2nd wicket for Bates. Ahmed Shehzad went for a duck. Next man in was Younis Khan; an experienced batsmen from the Pakistani side. Afridi & Younis tried to give an assistance to the backbone of Pakistan but in the 3rd over of the match, Afridi caught out at the ball of Bates. It was the 3rd wicket for Bates. At this time, the score of Pakistan was 7/3. Pakistani spectators were disappointed by B00M B00M. Umar Akmal came in & started building partnership with Younis Khan. In the 8th over, Younis Khan went back to pavilion after getting out at the ball of Hira. He scored 18 runs on 16 balls with 1 massive six. Fawad Alam took the guard & went into the ground for playing spectacular innings but was disappointed after getting run-out. He also went for a duck. At this time the score of Pakistan was 47/5 in 8.3 overs. The new man was the Lion of Pakistan Cricket, Abdul Razzzaq who helped Pakistan to win the 2nd ODI against South Africa this year by scoring 109 runs of just 72 balls. But in the next over, Umar Akmal left Abdul Razzaq alone after getting clean bowled on the ball of Hira. He was looking good. He scored 25 runs of 29 balls with 2 fours. Umar Gul came in to help Abdul Razzaq. Both were giving tough time to the bowlers & were looking like the Wall of China. At the last ball of the 15th over, Bhupinder Singh got the golden wicket of Abdul Razzaq. He scored 16 runs of 18 balls with 1 four. Abdur Rehman came in & got out at the ball of Kitchen. He also went for a duck. At this time the score of Pakistan was 84/8. Then Wahab Riaz came in to assist Umar Gul who was trying its best. But Wahab also loved to went back to the pavilion in the next over. This was the 4th wicket of Bates. Saeed Ajmal was the next & last man. Here Umar Gul got out at the ball of Munro. He scored 19 runs of 23 balls with 1 four. The complete Pakistanis team sums up in 17.4 overs after scoring just 91 runs. Their batting line-up was just like the heap of Ash. Grandhomme & Guptil were the openers from the Auckland side. The total was not a difficult task. Both openers started the innings aggressively & played beautiful shots. The first wicket of Auckland went down on the ball of Rawalpindi Express ‘Shoaib Akhtar’. The Grandhomme was the man. He scored 20 runs of 12 balls with 3 fours. At this time the score of Auckland was 28/1 in 2.4 overs. The next man in was Vincent. He tried to help Guptil but got clean bowled at the ball of Shoaib Akhtar. He scored 7 runs of 8 balls with 1 four. Kitchen took the guard & went into the ground to keep the scoreboard ticking. In the 6th over, Younis Khan caught the catch of Kitchen at the ball of Saeed Ajmal. At this time the score was 46/3 in 5.4 overs. The wicketkeeper Hopkins came in & after struggling hard went back to the pavilion. He scored 8 runs of 14 balls. The wicket was for Wahab Riaz. Munro was the next man but at the individual score of 5, he was clean bowled by Saeed Ajmal. At this time the score of Auckland was 68/5 in 9.4 overs. From there, Hakaraia assisted Guptil to win the match. Guptil scored 28 runs of 30 balls with 2 fours & Hakaraia scored 6 runs of 9 balls with 1 four. Both remained not-out. The bowling of Pakistanis bowlers was very bad. 17 runs were counted as extra-runs (b 4, lb 6, w 3, nb 4). Result: Auckland won the match by 5 wickets. The Pakistan Cricket Team will play 1st T20I of the tour against New Zealand on December 26, 2010 & will start at 01:00 (GMT). Hope they will play good cricket.